On arrival at Stourhead, you would be forgiven for thinking that this magnificent landscape garden was created by one of the two men who changed the face of landscape design in Britain in the 18th century – William Kent or ‘Capability’ Brown – but it was actually created by a man who belonged to a banking empire, Henry Hoare, with the help of his architect, Henry Flitcroft. And whilst the latter Henry was a colleague of William Kent, he was by no means an established landscape garden designer when work began on the gardens here. 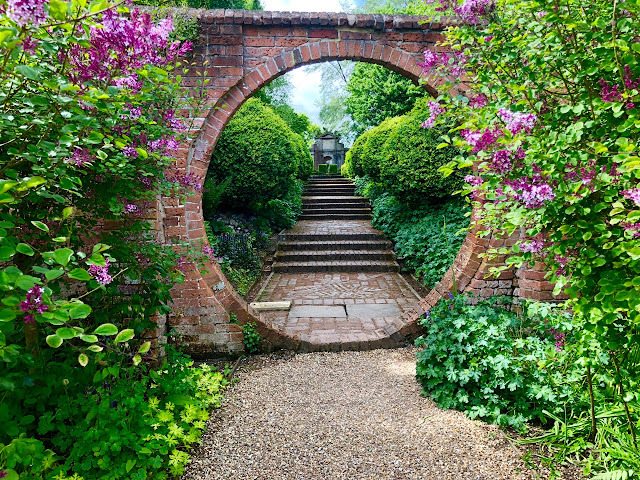 The 18th century saw sweeping changes in garden design when William Kent introduced the new concept of landscapes into the imposing English country house vernacular. And although he was more an architect than a gardener, word soon spread about his grand designs at Stowe, Chiswick House and Rousham. Prior to this parterres, hedging and flowers had been fashionable and no English designer had thought to complement the landscape with classical buildings and statuary. Henry Hoare (who is often referred to a Henry 'the magnificent') had travelled extensively in Europe before settling at the Palladian house, designed by Colen Campbell and built for his father in about 1720. He was well acquainted with both foreign architecture and many of the great European landscape painters. 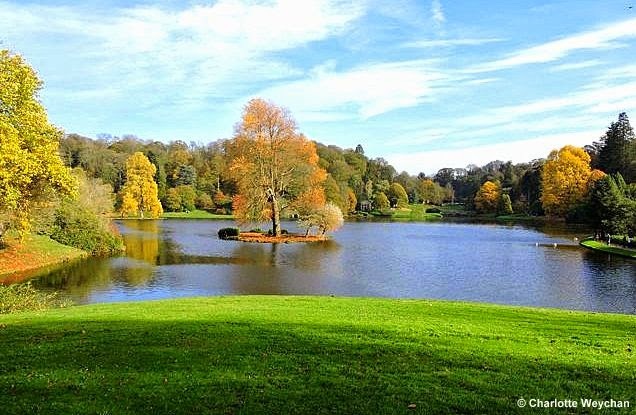 On his return to England, his intention was to create a formidable panorama in the grounds of the country house he had inherited and when work began in the mid 18th century he set about creating the huge lake that forms the centrepiece of the grounds at Stourhead today. 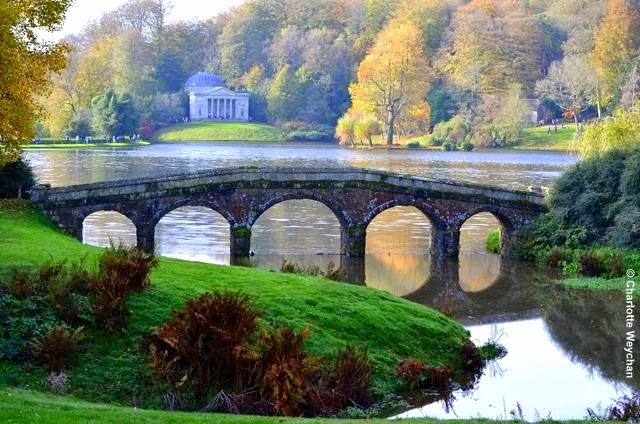 The lake was created by damming the River Stour and whilst work continued on the buildings in the garden, which include the pillared Temple of Flora (1744), the Temple of Apollo and The Pantheon, Henry was also busy planting the trees that make this landscape so spectacular and creating the pathways that wind through both the wooded areas and alongside the water. It was his grandson, Richard Colt Hoare, who introduced many new plant species to the estate in the first half of the 19th century. His legacy includes tulip trees, Indian bean trees and swamp cypresses, as well as copper beaches and many of the rhododendrons that provide spectacular spring colour in the garden. Subsequent generations of the Hoare family added to the planting during their time at the property and when Sir Henry Hoare eventually gave the estate to the National Trust in 1946, the garden, which was already recognised as one of the finest landscapes in Britain, was well established and renowned for its specimen trees. Stourhead is not a garden to gallop around. 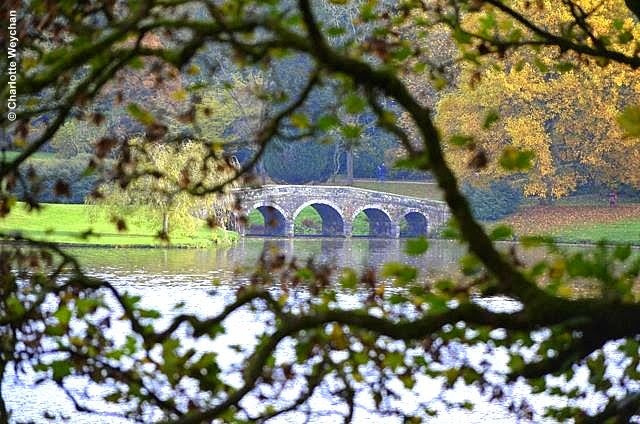 It's a landscape to be savoured and is particularly lovely in the autumn, when the leaves are turning and also in wintertime when you can really see the structure of the landscape through the bare trees. 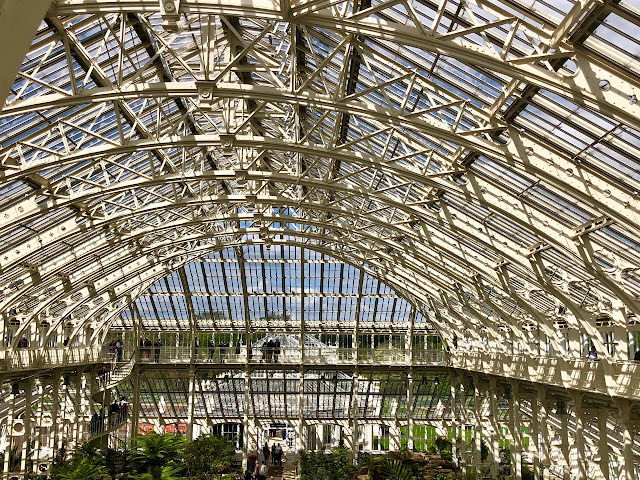 It attracts tens of thousands of visitors annually and, to enjoy the garden at its best, you are well advised to visit as early in the day as possible to avoid the crowds, particularly when the leaves are changing colour. 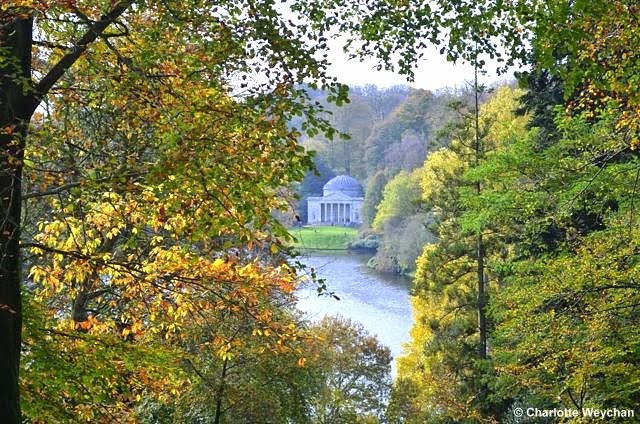 One of the best routes around the garden is from the top path by the main house, which allows you to catch memorable glimpses of the Temple of Apollo and The Pantheon and panoramic views of the lake below as you walk down through the trees. 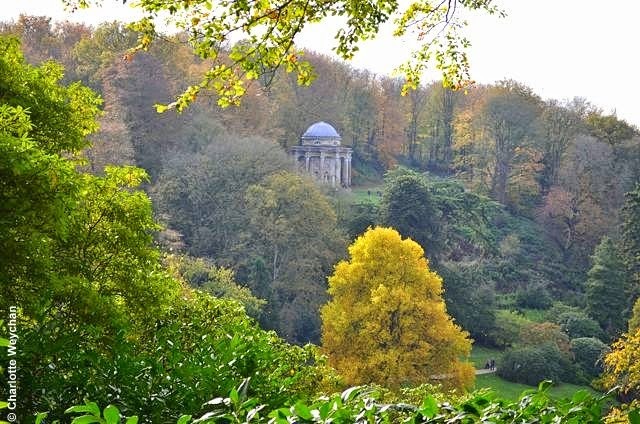 Do make the effort to climb up to the Temple of Apollo, for more magical glances of this Arcadian landscape created by the two Henry's - owner and architect - nearly 300 years ago. Allow at least half a day to see everything, to savour the buildings and to enjoy the statues and finer architectural details. 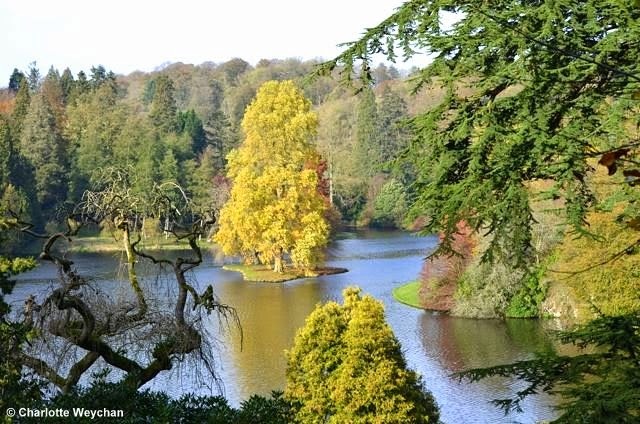 The gardens at Stourhead are open daily throughout the year (except Christmas Day) 9.00-17.00. Entrance is free to National Trust members. Check website for house opening times and prices. Another memorable garden nearby is Chiffchaffs - a cottage garden on a very different scale and only open during the summer months. Ahhhh beautiful Blighty, how I love this time of year and all it's wonderful rich colours! Wonderful photographs! 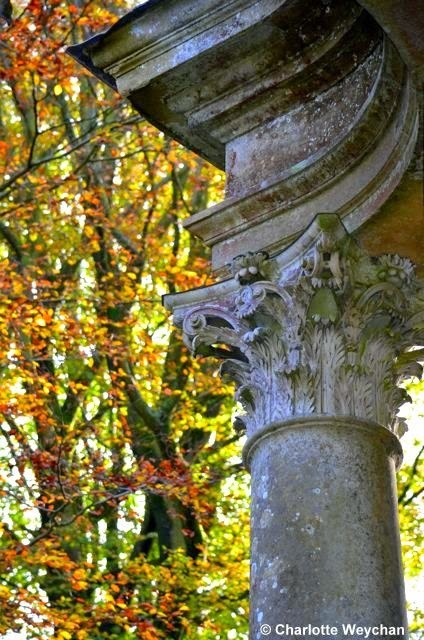 Stourhead, one of my favourite landscape gardens in England. Beautiful pictures!